Karoake at a dive bar is weird on top and always sad underneath. 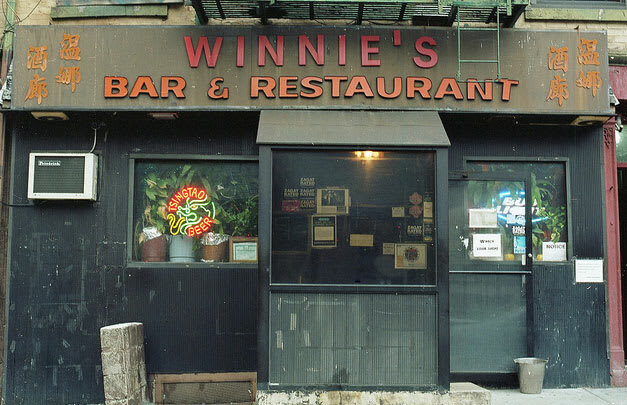 No one singing at Winnie's (in English or Mandarin) missed their chance at fame. But, of course, that's part of the fun. From your red pleather booth, under a hot, hanging light, watch the slaughter roll past at a buck a song. Drink one or more "Hawaiian Punch"—don't ask what's in it—and you might find yourself, mic in hand, slurring about why you have to sing "I Believe I Can Fly" right this instant, because it's the only thing that matters in this mixed up world. Everyone will beam at you. Or maybe that's just the punch.